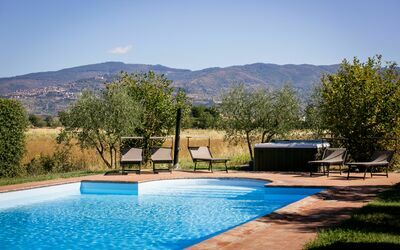 Book your vacation for the period from 01 April 2019 to 06 June 2019 and save the 15 % (minimum 5 nights). 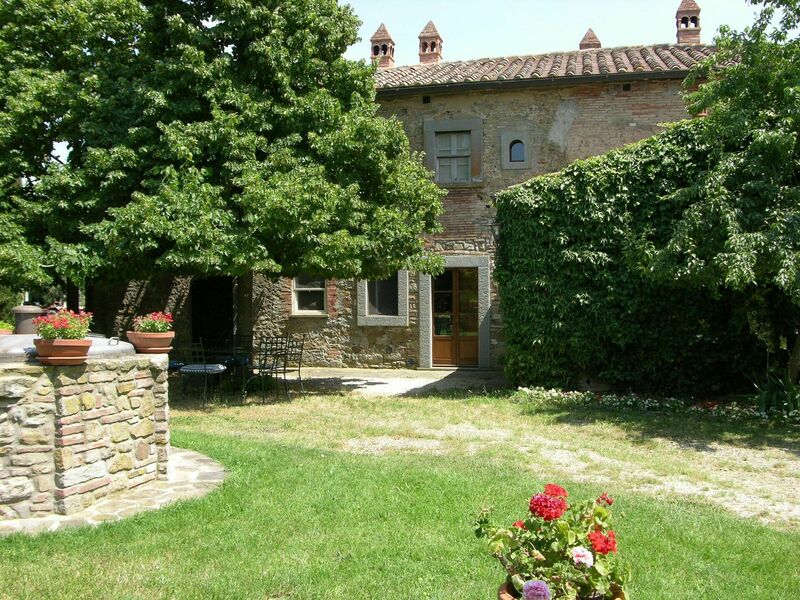 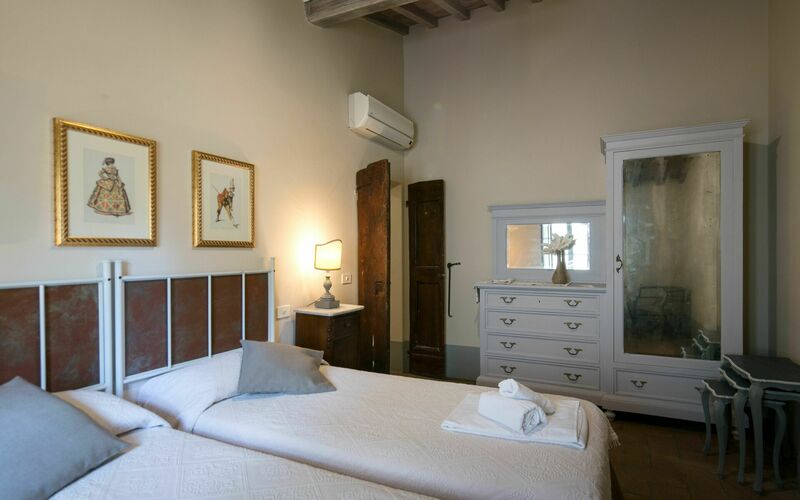 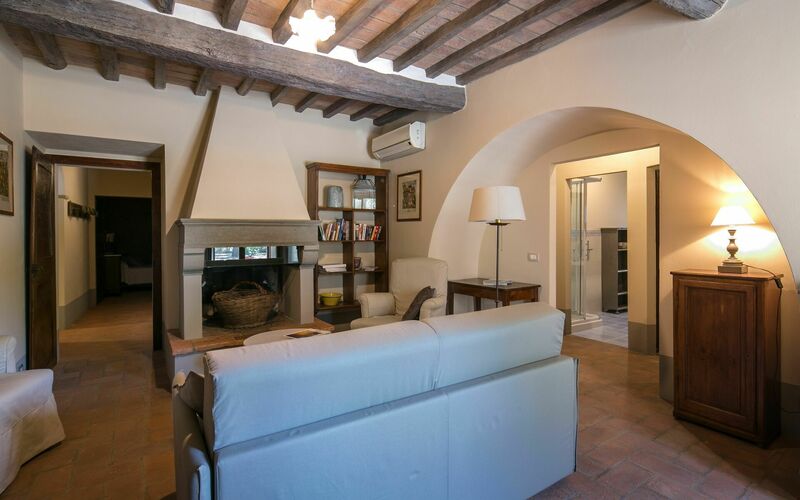 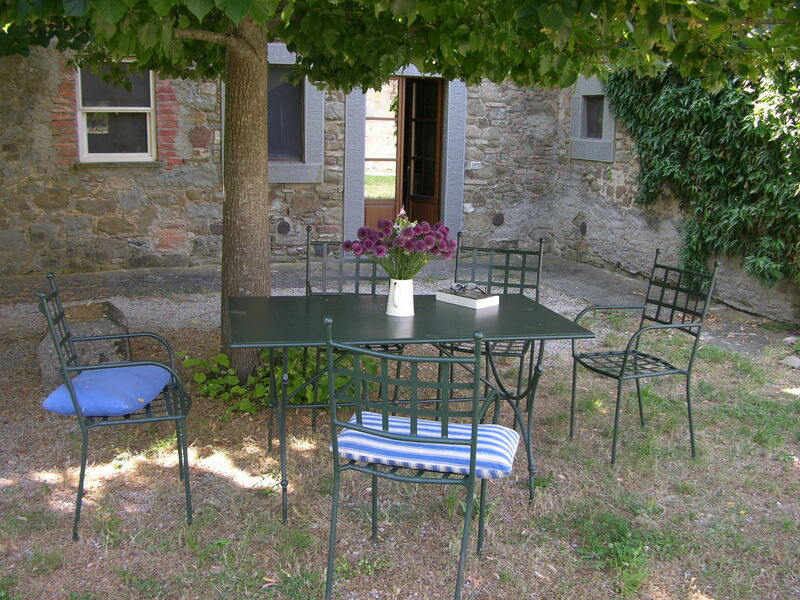 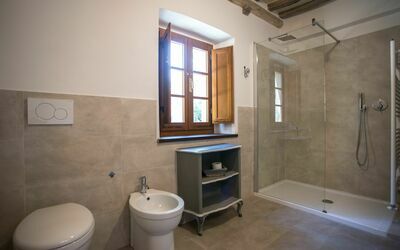 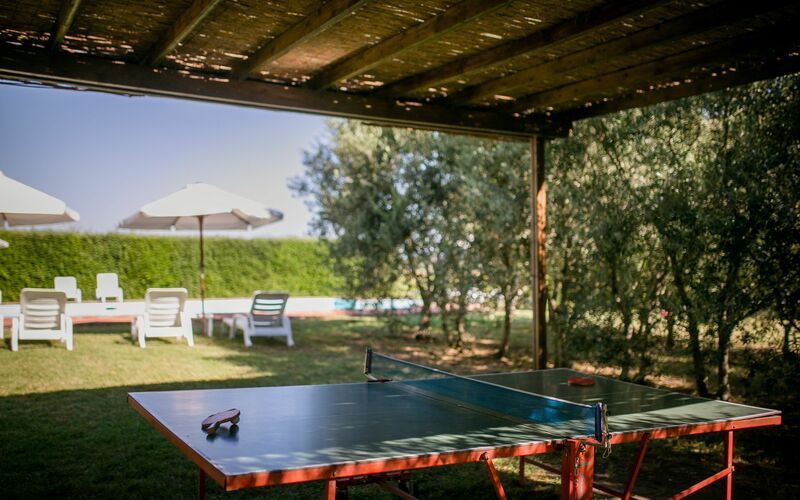 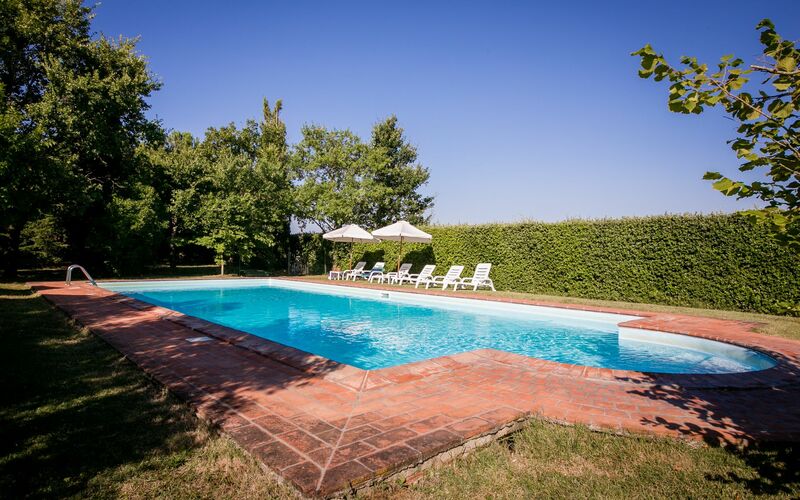 Case Sant'anna is a nice property (300 sq m) with private pool, air conditioning and hot tub. 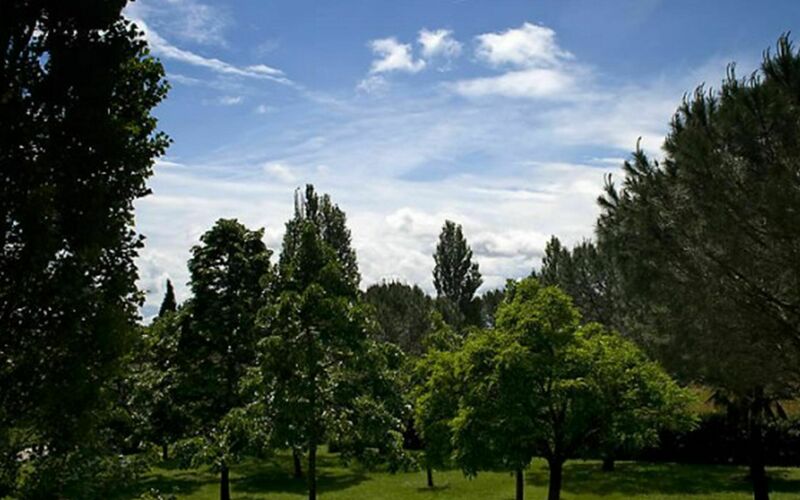 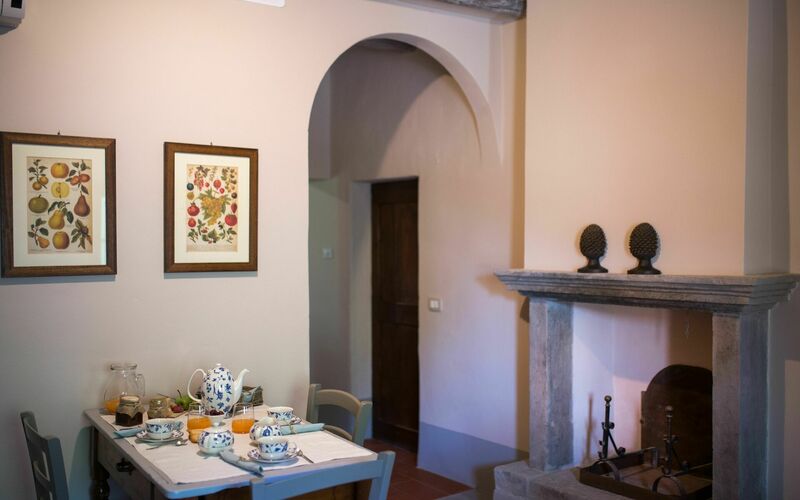 The property can sleep up to 18 guests comfortably in nine bedrooms with eight bathrooms. Case Sant'anna is located 3 km (2 mi) from Terontola, Italy and only 10 km (6 mi) from Cortona. 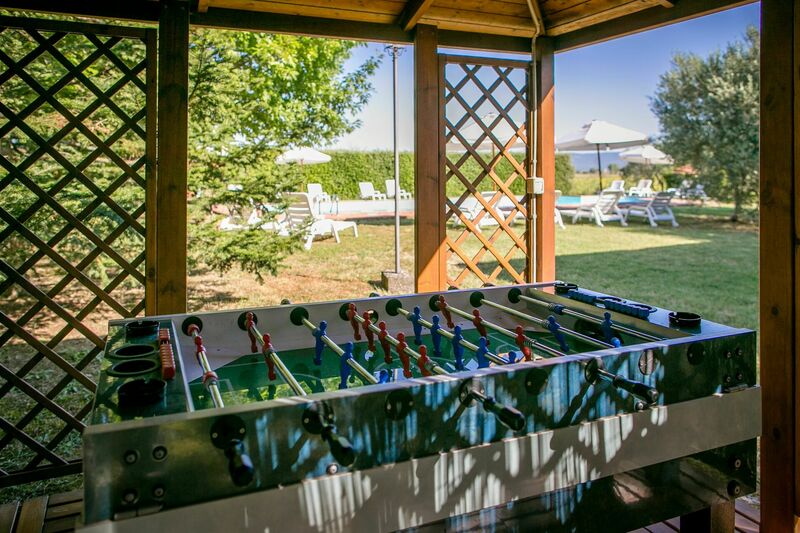 There is a golf course nearby if you'd like to get in a round or two while on vacation. 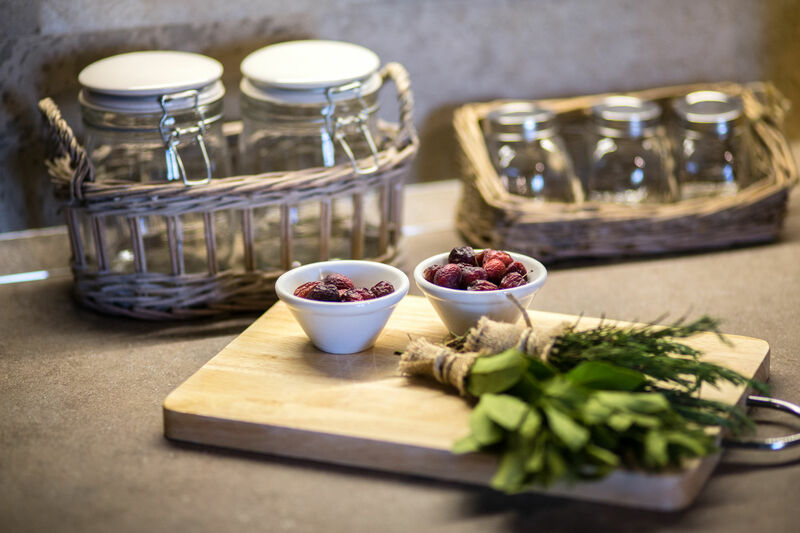 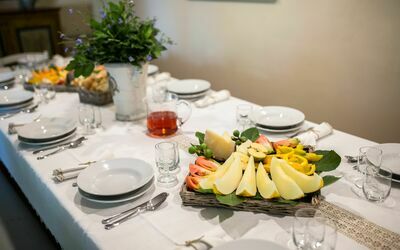 In nearby towns there are local shops where you can find fresh produce and other items, but if you need a larger shopping center there is one located only 3 km (2 mi) from the property where you can purchase groceries and personal items. 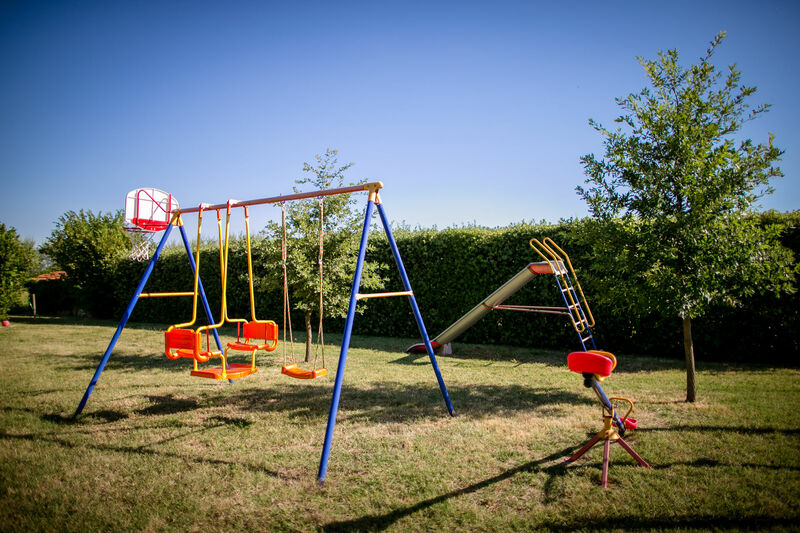 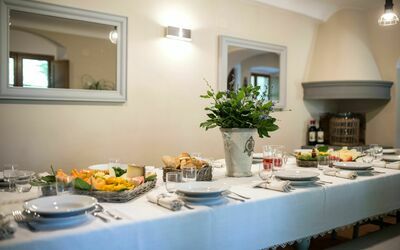 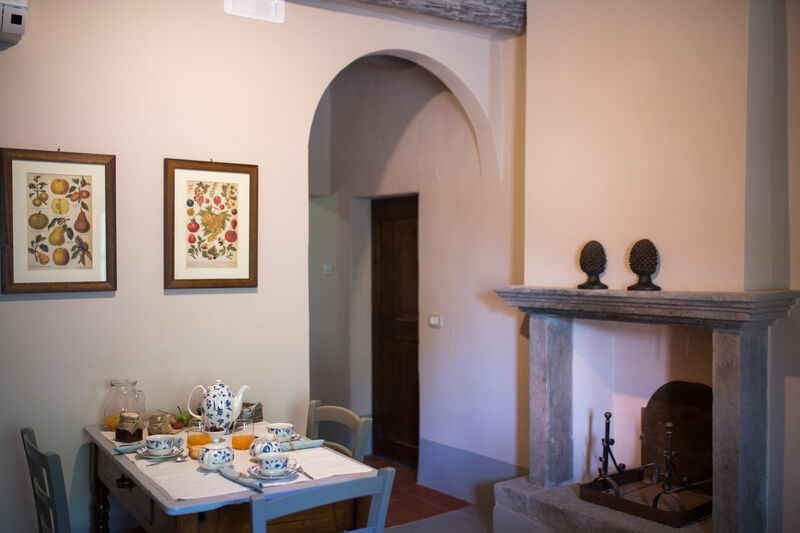 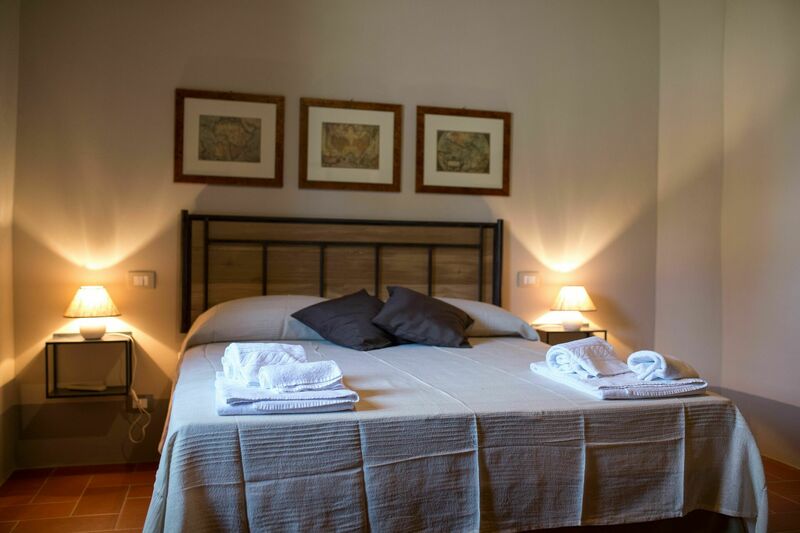 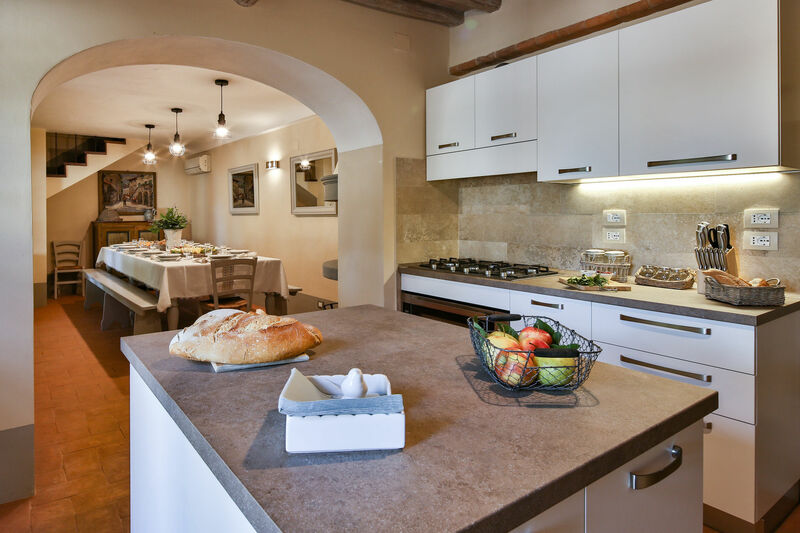 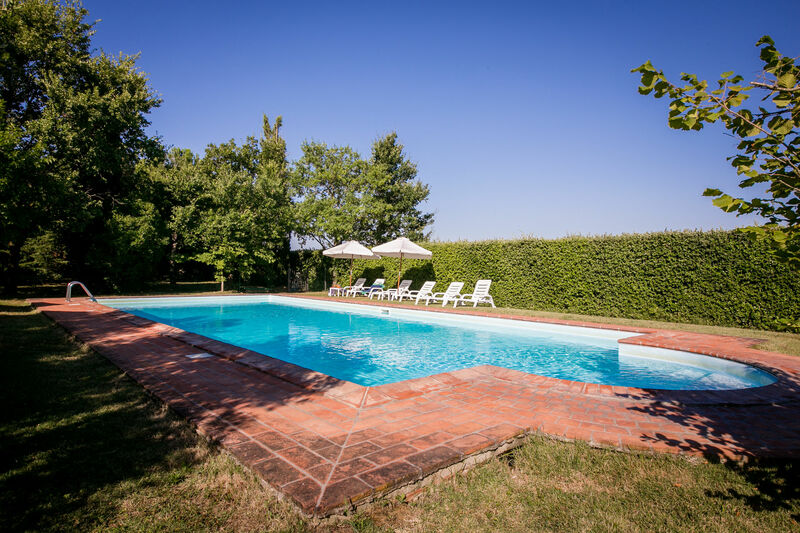 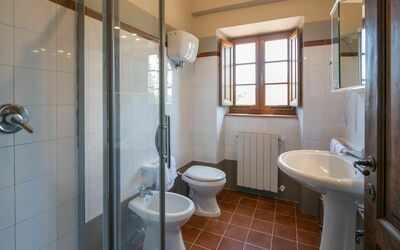 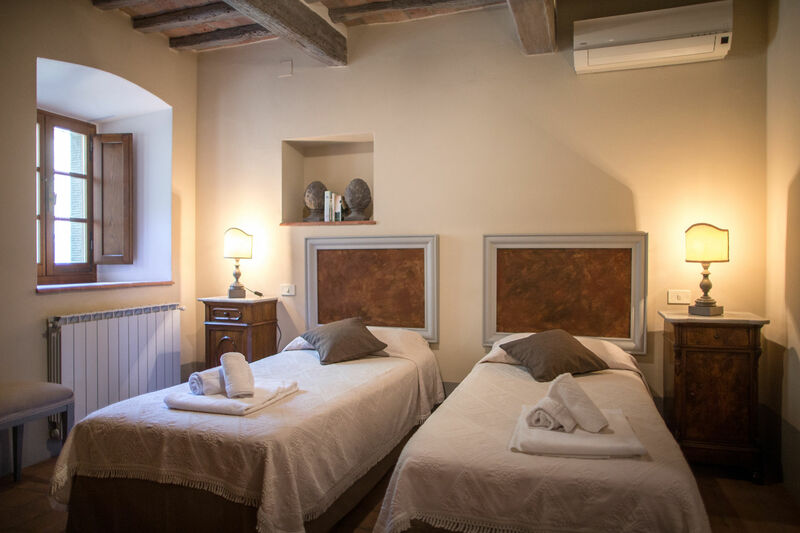 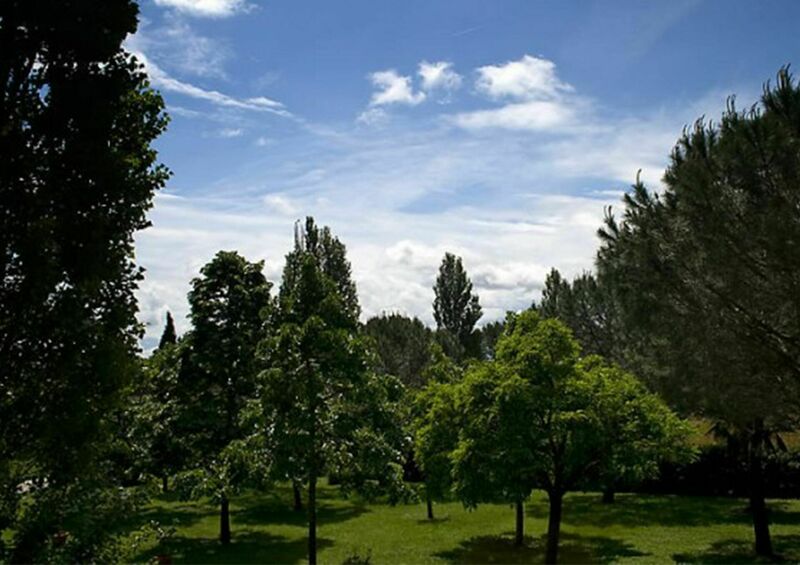 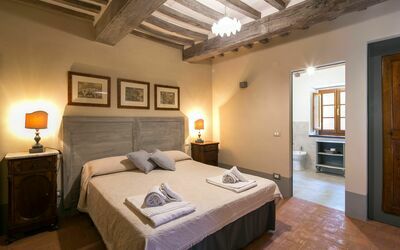 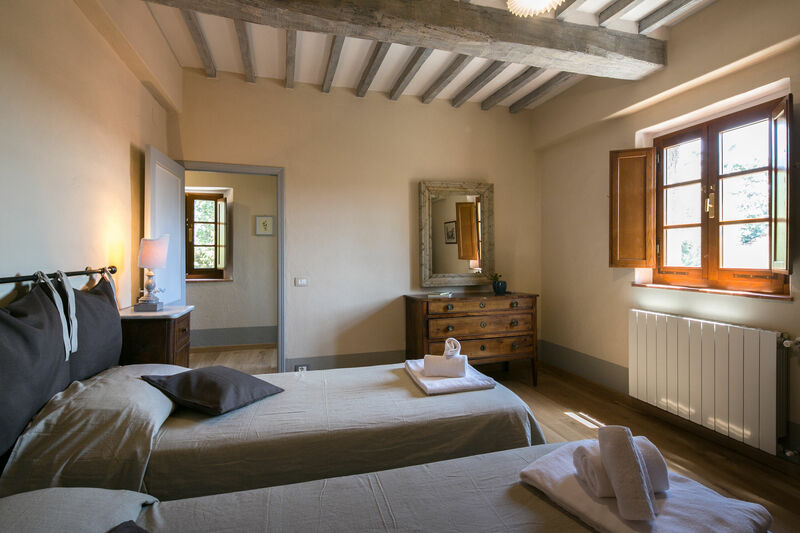 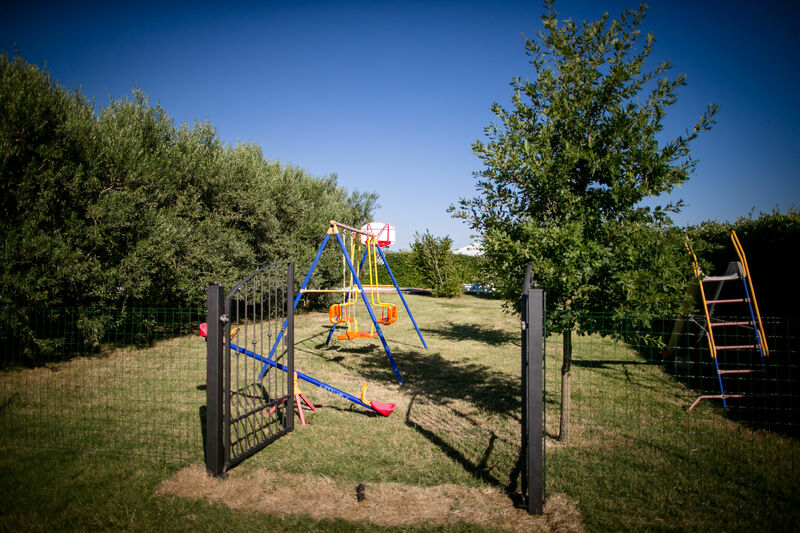 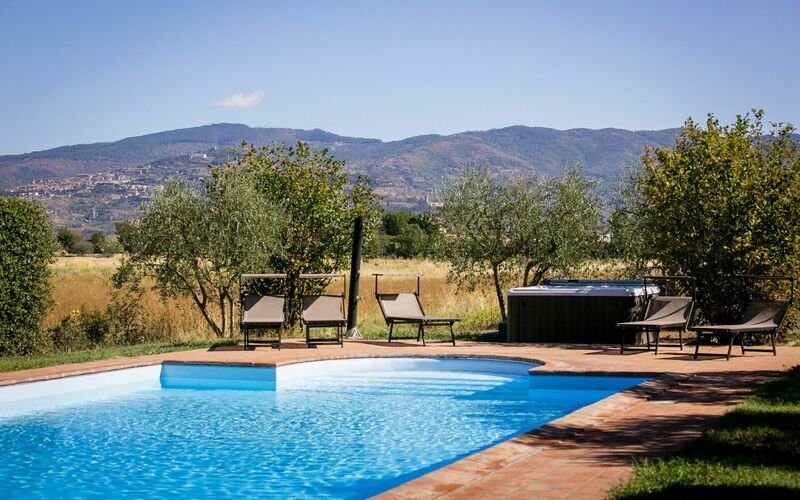 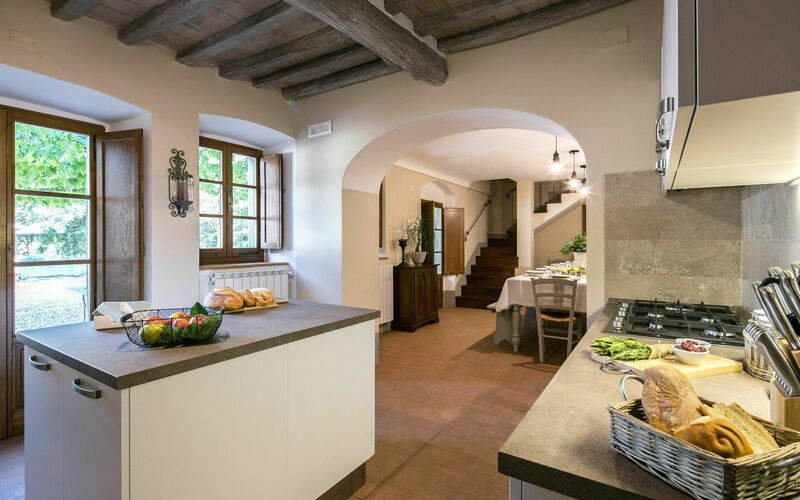 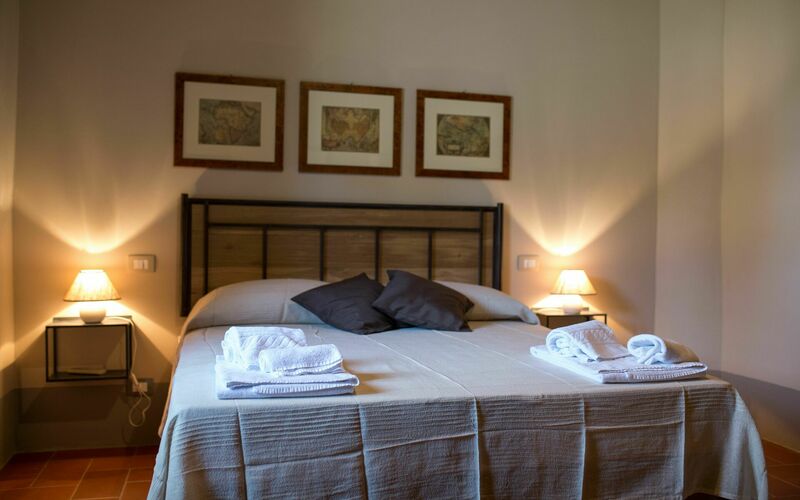 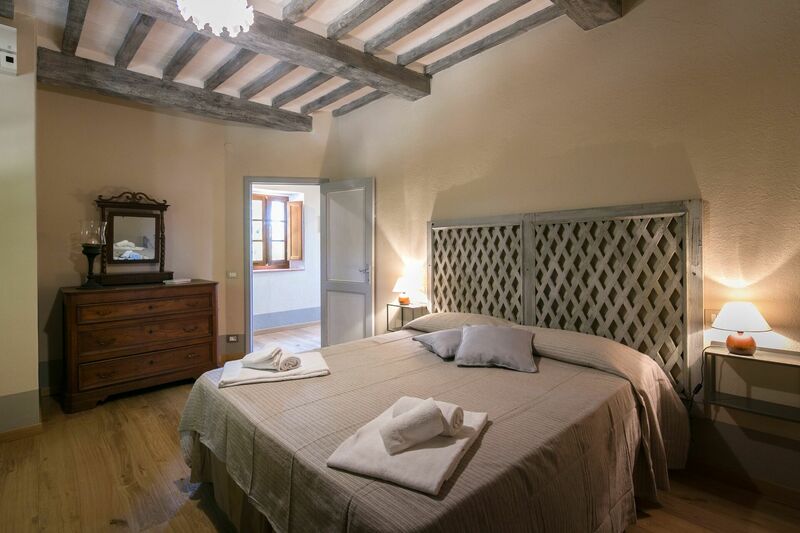 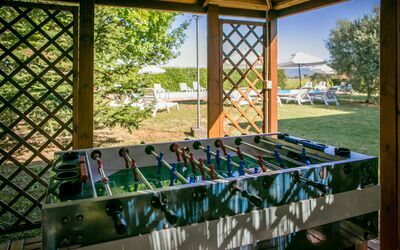 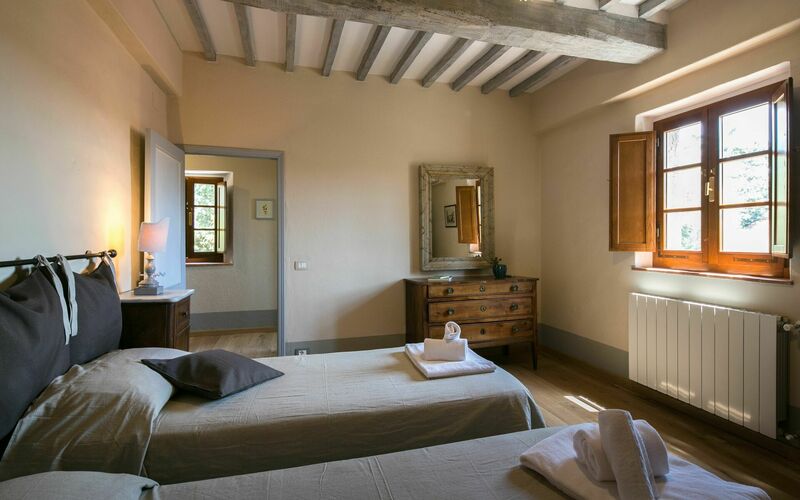 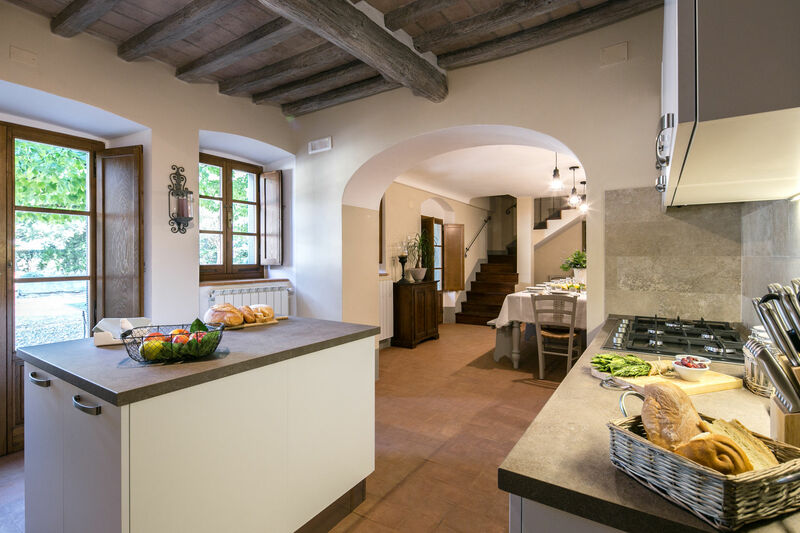 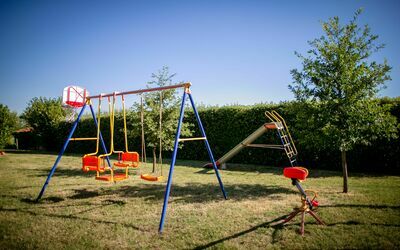 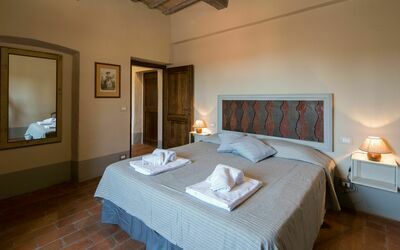 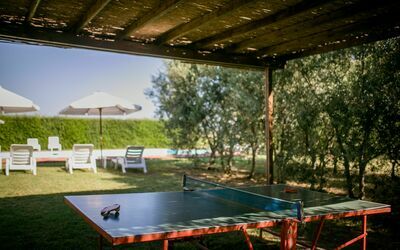 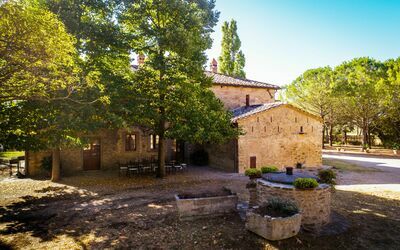 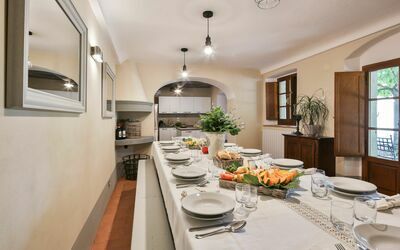 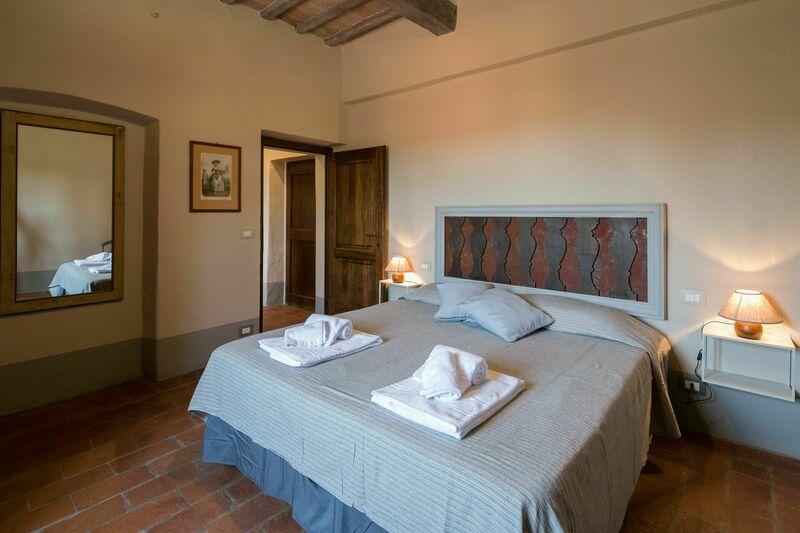 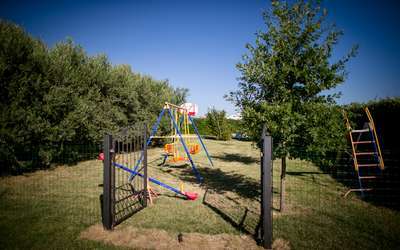 After arriving at Case Sant'anna you’ll find a lovely clean well-maintained property perfect for a relaxing holiday in Tuscany. 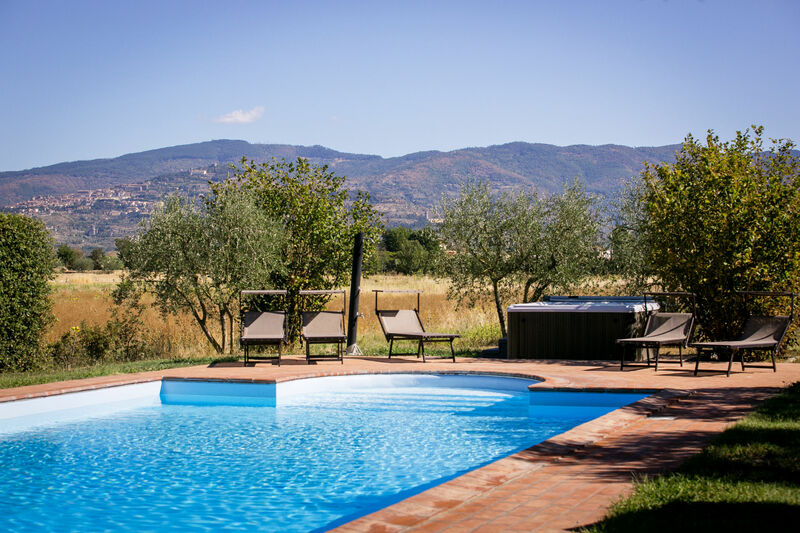 After a busy day of sightseeing, spend some time with friends and family poolside enjoying a glass of wine - a perfect way to relax at the end the day. 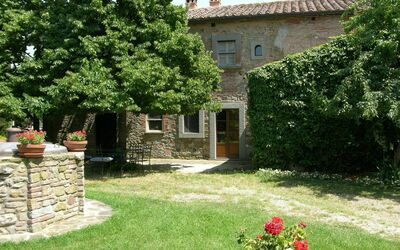 A real time-saver is having a washing machine on the property that is available for the guests to use. 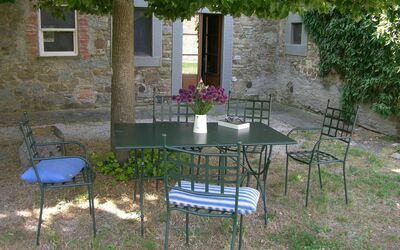 Outdoors you will also find a hot tub, patio and barbecue grill. Most people enjoy visiting nearby cities and towns while on vacation, so for your reference this is a list of popular places with driving distances from the property: Cortona 10 km (6 mi), Montepulciano 26 km (16 mi), Arezzo 36 km (22 mi), Perugia 52 km (32 mi) and Montalcino 60 km (37 mi). 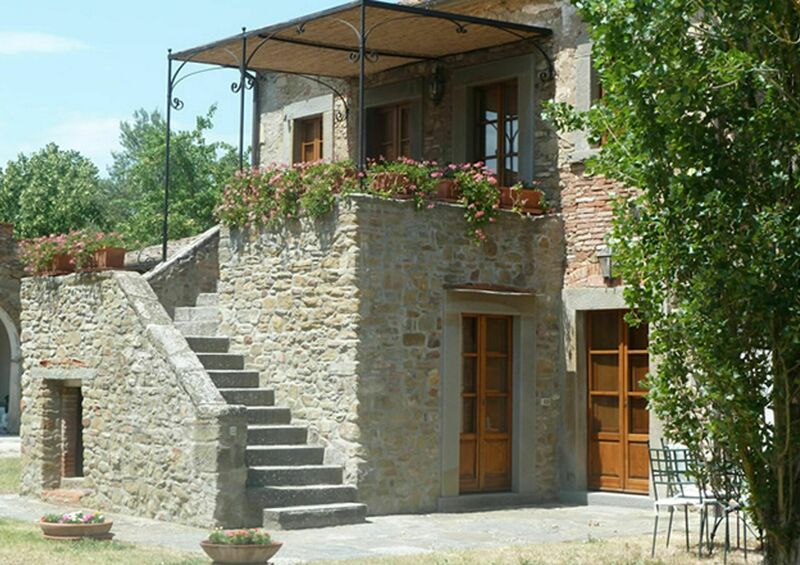 The highway is only 14 km (9 mi) from the villa and there is a train station 3 km (2 mi) away. 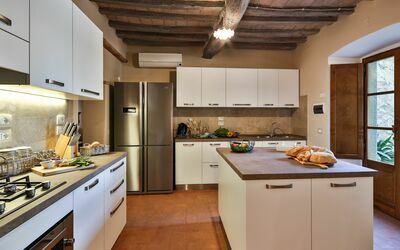 Some other major tourist destinations you should consider visiting are: Florence 124 km (77 mi), Viareggio 211 km (131 mi), Forte Dei Marmi 218 km (135 mi), Rome 206 km (128 mi), Venice 367 km (228 mi) and Milan 410 km (255 mi). 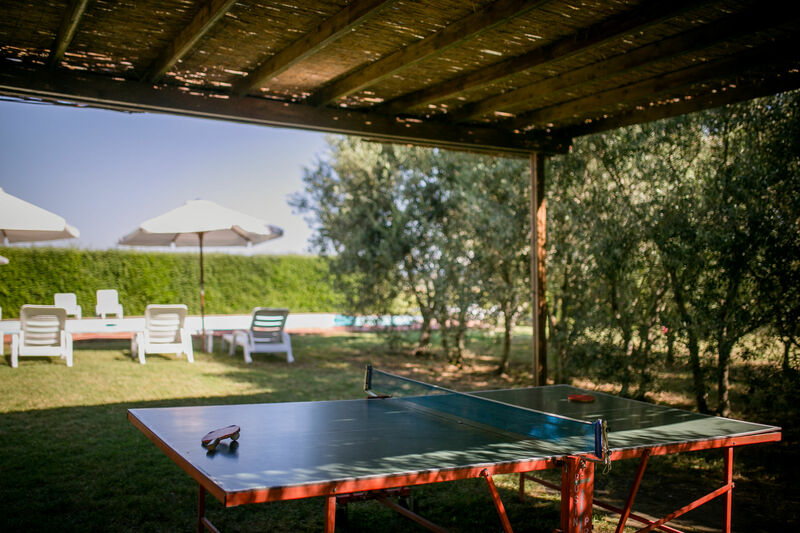 Pets Welcome - If your pet is travelling with you on holiday that is not a problem at Case Sant'anna. If you have a large dog or multiple pets, please inquire for permission prior to booking. 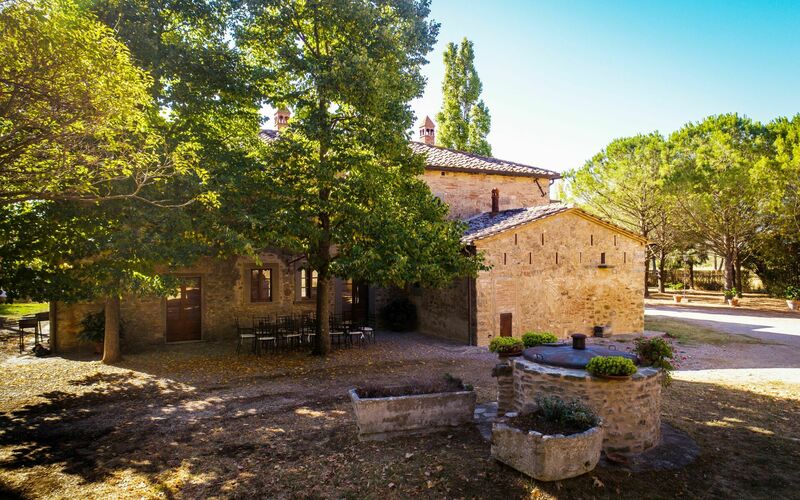 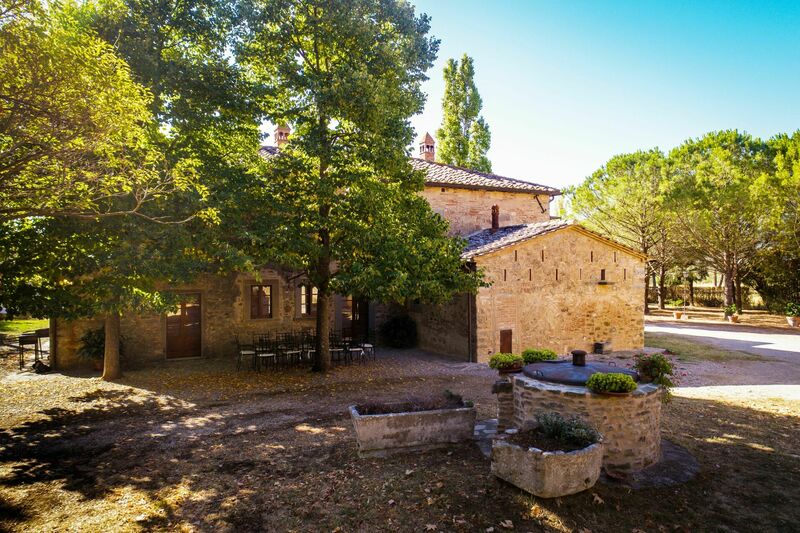 Weddings – Case Sant'anna would be a good choice for your wedding venue. All aspects of the wedding can be scheduled with a professional wedding planner including the food, entertainment and floral arrangements. If you need additional rooms for your wedding guests, we can help you find suitable local accommodations. 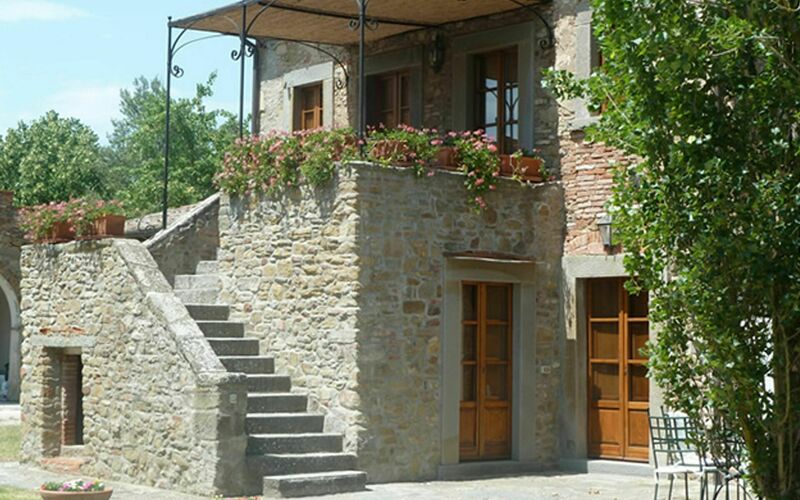 Stop dreaming and start planning your wedding in Tuscany. 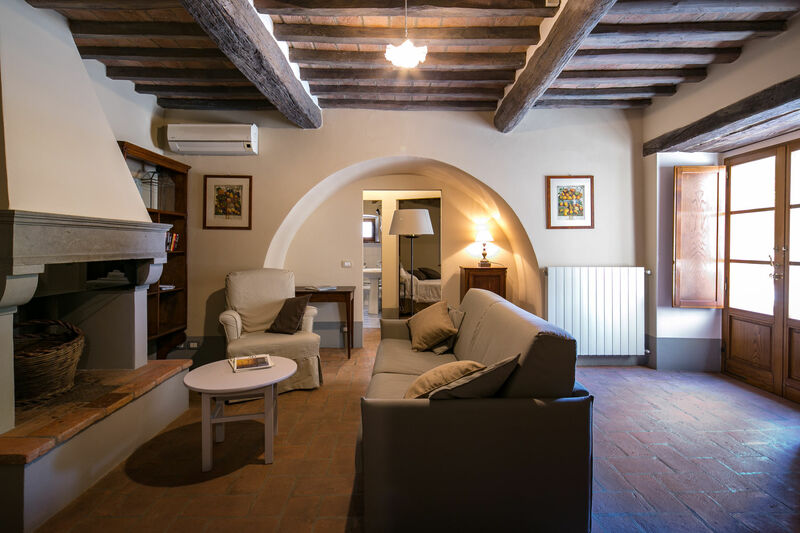 Nearest Airports: Firenze Peretola (Flr) 131 km (82 mi), Pisa (Psa) 192 km (119 mi), Roma Ciampino (Cia) 215 km (134 mi), Bologna (Blq) 218 km (135 mi) and Roma Fiumicino (Fco) 228 km (141 mi). Including: kitchen, living room, dining room, 3 bedrooms + ensuite bathroom, 2 bedrooms, 2 bathrooms, service room. 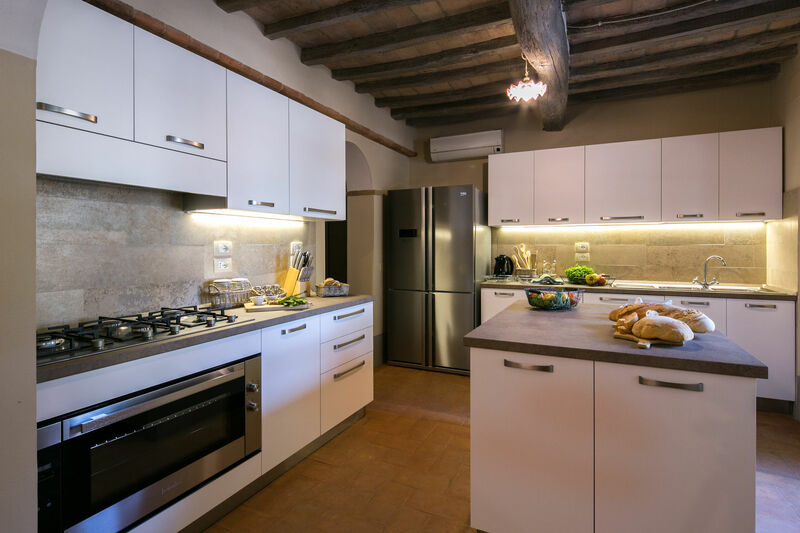 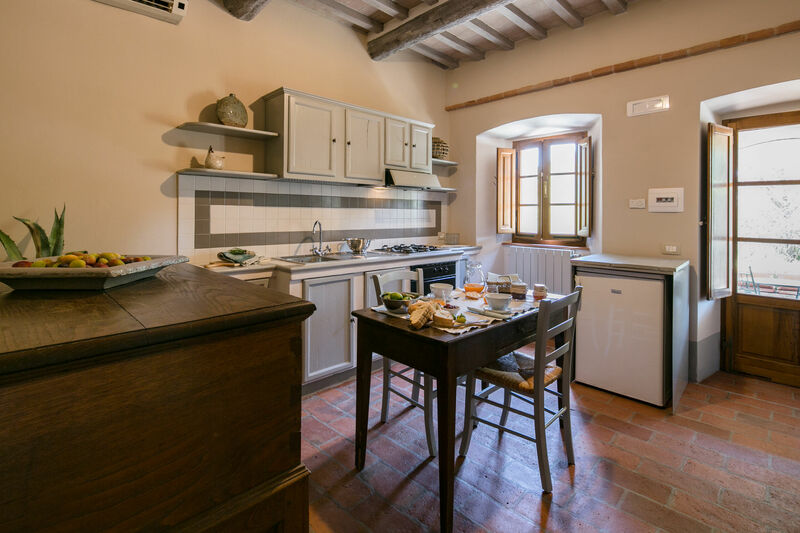 Kitchen: well equipped kitchen, dishwasher, fridge, freezer, oven, italian coffee machine, american coffee machine, WIFI internet, air conditioning. 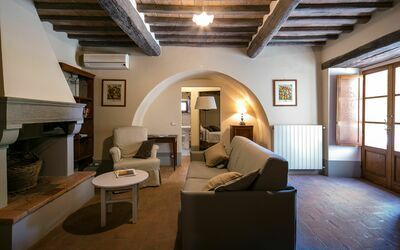 Living room: sofa, armchair, fireplace, WIFI internet, air conditioning, satellite tv. Dining room: dining table (people: 18), air conditioning, WIFI internet. 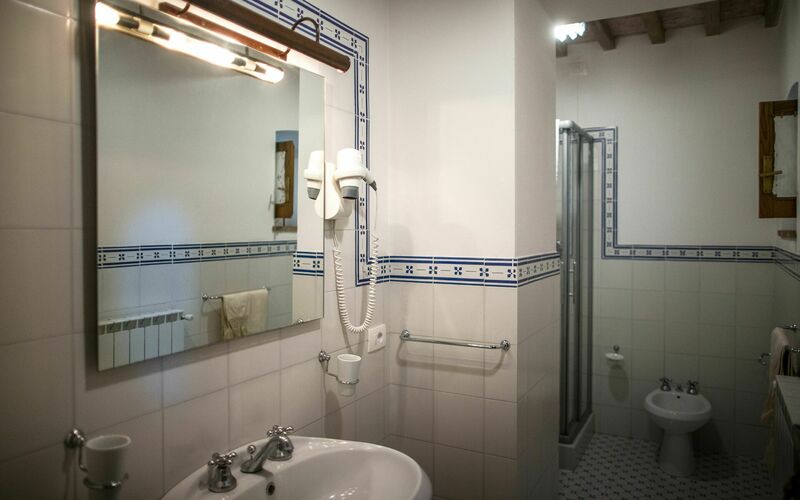 Bedroom + Ensuite Bathroom 1: double bed, internet, air conditioning, basin, toilet, bidet, shower. 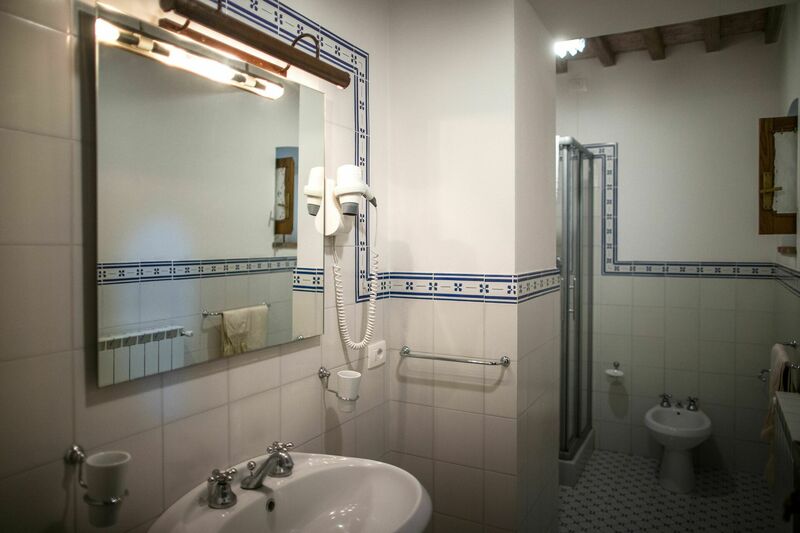 Bedroom + Ensuite Bathroom 2: double bed, internet, air conditioning, basin, toilet, bidet, shower. 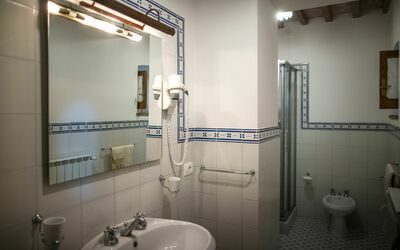 Bedroom + Ensuite Bathroom 3: two single beds, WIFI internet, air conditioning, basin, toilet, bidet, shower. Bedroom 1: two single beds, WIFI internet, air conditioning. Bedroom 2: two single beds, WIFI internet, air conditioning. 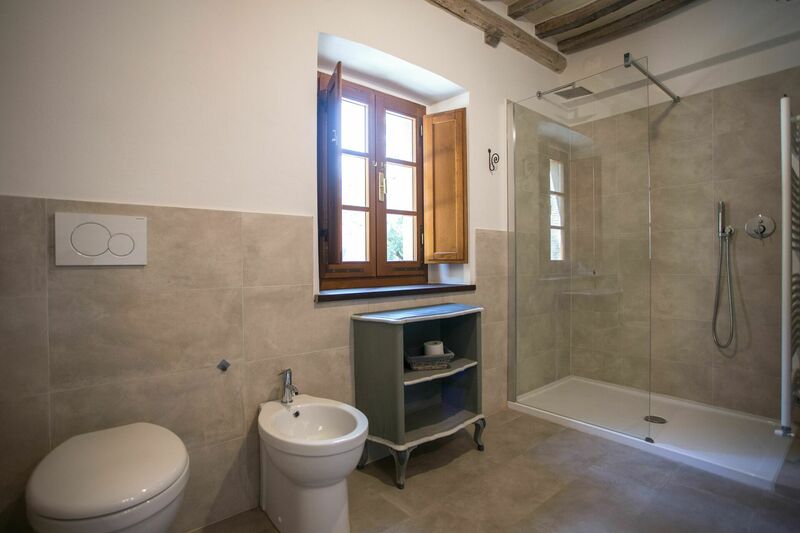 Bathroom 1: basin, toilet, bidet, shower, hairdryer. 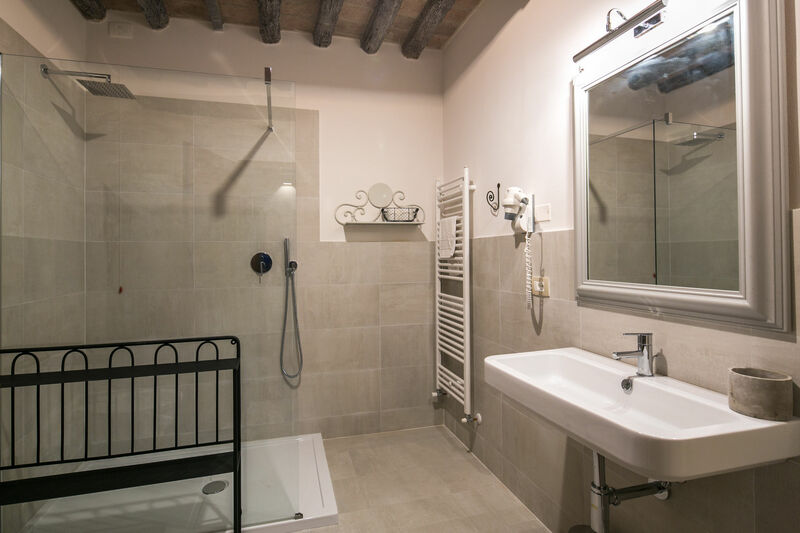 Bathroom 2: basin, toilet, bidet, shower, hairdryer. Bedroom 1: double bed, WIFI internet, air conditioning. Garden: swimming pool (length: 14m, max. 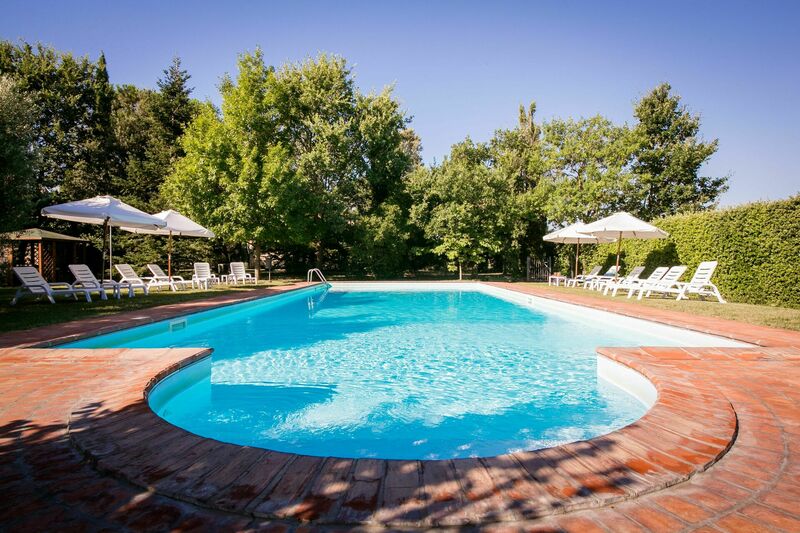 depth: 1.4m, min. depth: 0.9m, outdoor, private, width: 6m), outdoor hot tub, barbecue, dining table (people: 18), garden furniture, 16 sunbeds, children's playground. 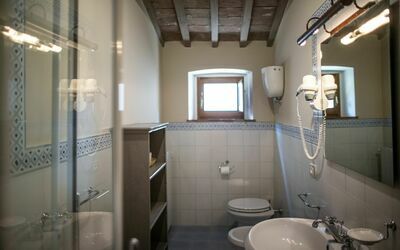 The property is a single building, with a smaller portion made by two apartments, on the upper level. These apartments have an independent access by an external staircase and they internally communicate one with the other, but not with the rest of the house. 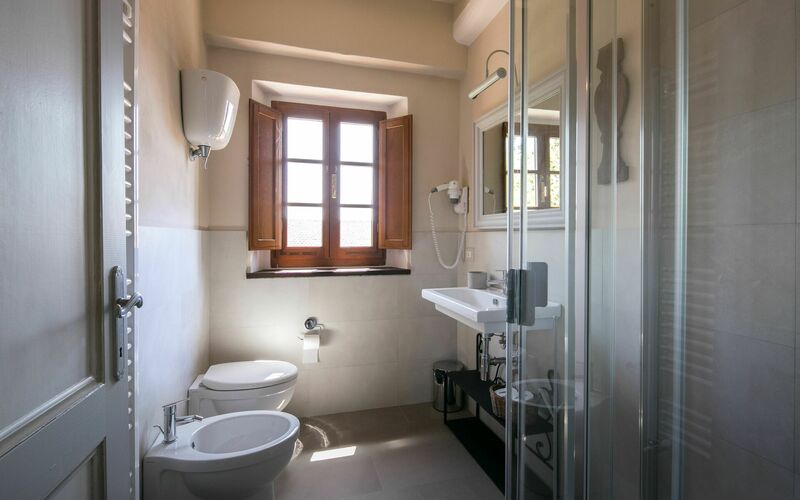 Apartment 1: the apartment is attached to the main property but it has an independent access by an external staircase. 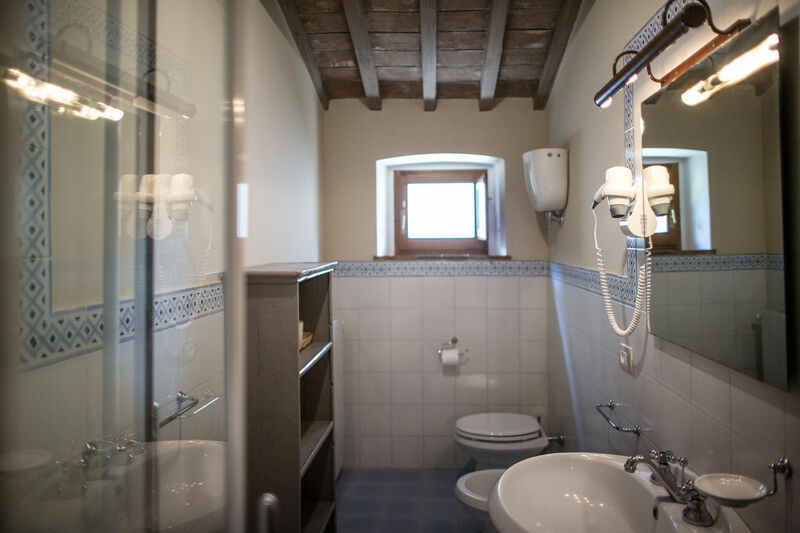 It includes a Kitchenette (stove, oven, dining table), a Bedroom (double bed, air conditioning) and a Bathroom (shower, hairdryer, bidet, basin, toilette). 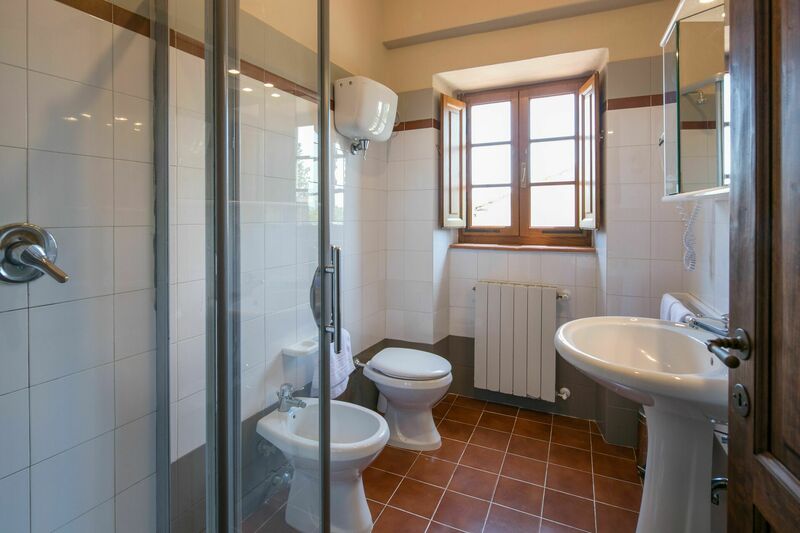 Apartment 2: the apartment is attached to the main property but it has an independent access by an external staircase. The two apartments are connected to each other internally. Power included up to 300 kwh/week; the exceeding consumption is charged euro 0,50 per Kwh.